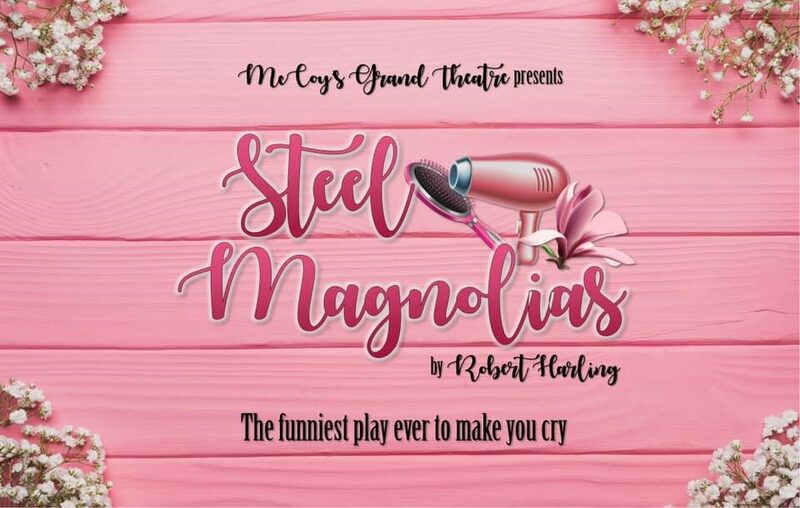 McCoy’s Grand Theatre presents Steel Magnolias a play by Robert Harling, directed by Faye Sherman. Set in a small town in Louisiana – in the time of big hair – six women gather in Truvy’s beauty shop for gossip, friendship, and support. These women are true steel magnolias: southern belles who are flowery on the outside, but tough as steel inside. The play is alternately hilarious and touching as it moves from the excitement of Shelby’s wedding to sadness as friends mourn her loss. The dialogue is sharp and funny; and all six roles are interesting and challenging.